Based on the hit video game Gears of War 3! 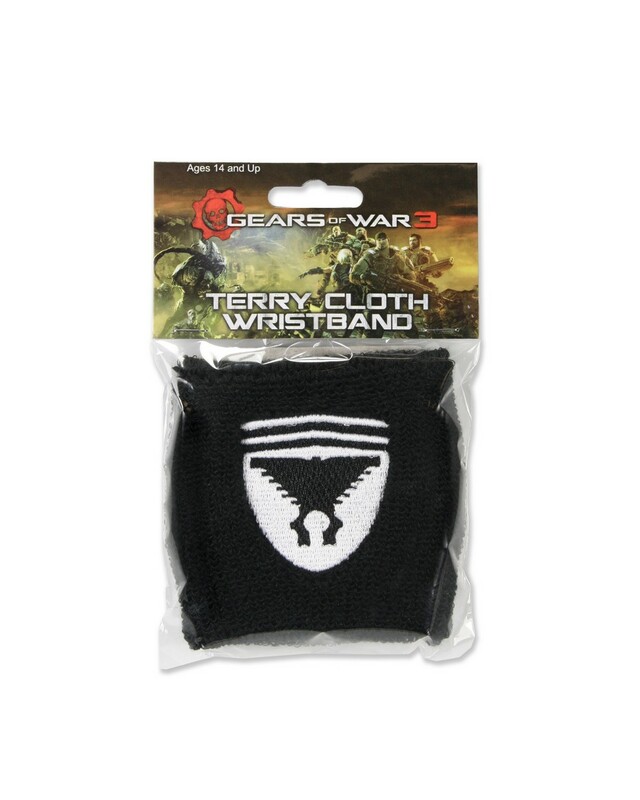 This absorbent terrycloth wristband is a must for any member of Delta Squad — after all, fighting off Locust Hordes is sweaty work. 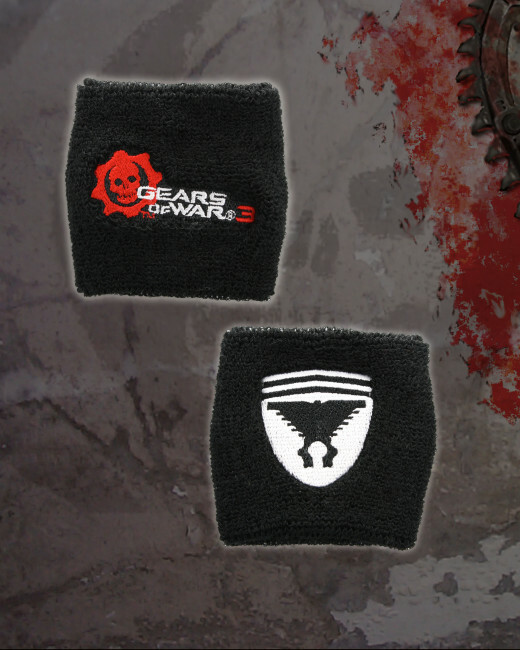 The stretchy band is embroidered on one side with Marcus’ symbol and on the other with the game logo. Polyester/rubber; spot clean.